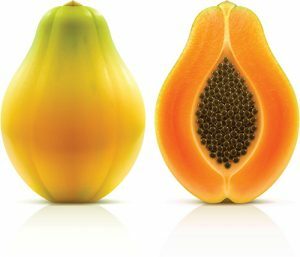 After 47 people were infected in an outbreak of Salmonella related to Grand Produce papayas, the FDA is warning consumers to avoid all Caribeña brand Maradol papayas. Grande Produce has informed the FDA that the company initiated a limited recall of their Caribeña brand Maradol papayas distributed nationwide from July 7 – July 18, 2017, but did not not issue a press release to inform consumers of their recall and the risk of Salmonella contamination. Forty-seven people among twelve states were infected with the outbreak strain of Salmonella Kiambu. Of the 47 people infected, twelve have been hospitalized. One Salmonella-related death has been reported from New York City. Illnesses occurred in 12 states: Iowa (1), Kentucky (1), Louisiana (1), Maryland (5), Massachusetts (1), Minnesota (1), New Jersey (12), New York (13), Pennsylvania (4), Texas (1), Utah	(1), and Virginia (6). For more information regarding the papaya Salmonella outbreak, please visit Papaya Salmonella Outbreak Lawsuit.